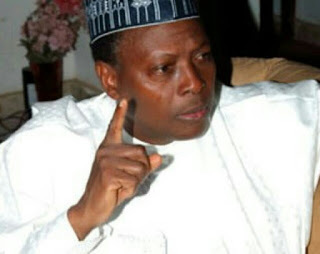 A Second Republic lawmaker, Junaid Mohammed, has said that Nigerians will regret it if they vote President Muhammadu Buhari into office again. President Buhari declared his intention to seek re-election in 2019 yesterday. Mohammed said it was left for Nigerians whether Buhari will get another term or not. Speakiing with Vanguard, Mohammed said, “I believe nobody should be surprised about Buhari’s declaration. “Why? Because Buhari is a kind of man that cares less about Nigerians and wants to hold on to power as long as he can. “It is now left for Nigerians to decide whether he stays on or not. “What I can boldly say is that if Buhari wins another term in office, there will not be end to corruption, insurgency, and insecurity.